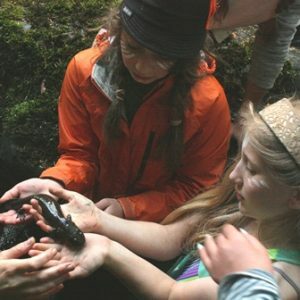 In this time of rising social challenges, when many children in the modern world begin to turn away from nature in search of acceptance into popular culture, we offer a valuable opportunity for deepening connection, friendship, adventure, and service. Tenders of the Inner Tide is for the adventurous of heart, girls who are ready to take their first steps into adulthood. Together we learn to honor the feminine and masculine energies within and around us, as we deepen our sense of belonging with all of whom we share this land. The fundamental format of the journey will remain consistent for all three years, with the curriculum shifting each year from awareness of self, to awareness of community, to awareness of the planet as a whole. As mentors, we bring our presence, authenticity, and life’s experience to guide and support the cultivation of each child’s unique strengths in service to our local and global communities. Our approach is inspired by teachings and life honoring practices held sacred amongst our ancestors and indigenous cultures around the world. Through deep listening and trust in our ongoing relationships with the children, we craft activities and challenges that inspire each participant to access their inner wisdom and confidence. In year three we broaden our lens of the world even further to include our planet as a whole. Watching the migration patterns of the salmon, birds, and butterflies, along with the waters and winds themselves, will help us deepen our relationship to all other beings with whom we share this Earth. We will look at how our understanding of community shifts when we take in the teachings and stories of travelers and elders from across the globe, with special attention given to the visiting representatives of indigenous wisdom. Participants will leave this year with a more profound realization of the universal interconnection of life. They will be further empowered with the courage, strength, and support of their community to live mindfully, in integrity with the values each of them holds most dear. Commitment: Far more than another extracurricular activity, Coming-of-Age Mentorship and Rites-of-Passage are a crucial missing link in our society. A serious commitment and prioritization on behalf of everyone involved is necessary for the highest integrity of this journey. 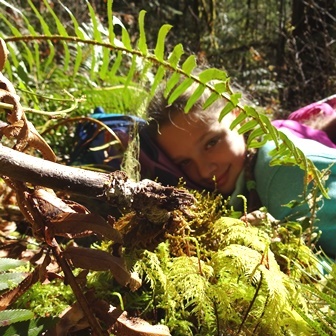 **Our scholarships are designed to provide greater access to nature education for those in need. We do not turn away any family based on financial limitations alone. Scholarship Application deadline for 2018 is May 25th. Nature’s Mystery Awareness School is a community supported non-profit endeavor. We invest 100% of our time, energy, and financial resources in our mission. “To cultivate a peaceful, socially sustainable, and ecologically regenerative future in the hearts and minds of today’s youth.” Please consider supporting the youth through a contribution to our scholarship fund and/or outreach efforts. Please call 541.521.8658 for more information. To register for this program, please log in with an existing account or register for a new account.